...wow. So many thoughts and texts in here. Every day thousands of messages are added. And I'm as sad as all other people here. A few minutes ago I saw the World Club Dome tribute on YouTube for you, which I saw live. I cried at the World Club Dome and I cry just now too. No tribute before has made me feel like that and let my tears roll. Unfortunately I hadn't the chance to see your show live. I hope you're doing well where you are right now! Avicii...in loving memory. Danke Tim! Danke für deine Musik, danke für das Gefühl dass du mir durch deine Lieder gegeben hast. Ich hatte das große Privileg dich zweimal live zu sehen und werde diese Erinnerungen für immer in mir tragen. Ruhe in Frieden, der Frieden den du auf dieser Welt vergeblich gesucht hast . You bring me up when I'm down. Wish I could have done the same. We lost an angel, a legend. I feel like i lost a friend, i found myslef through your musics and personality. Your songs help me so much to keep my head up, they made me smile so many times. I'm so ashamed to know a genius like you left so young. I'm really sad to know that i will never see you in live and i'm really sad to know you in another world but you're in a better place now. We will never forget you. RIP. Avicii forever. It still hurts, everytime I google Tim and see all his pictures there. All his musics are not just a bundle pieces of notes, every single of them has a soul, every part of the melody has Tim's breath within. "Hey brother", "The night", were the very inspiring one. The songs helped me reconnect with my father. The night before Tim's death appeared, I just finished streaming "Without You" song for the first time. And I never imagined that the following day, will be our first day without him. His album Stories helped me deal with my addiction and mental health issues. When listening to that album I know that I am not alone. Avicii's music will always be in my heart and in my head. RIP Tim. We all miss you. you're my inspiration. RIP bro. Listened to your music all over and over again, really wish can hear medlodies from you again. with your music you saved my life, I miss you so much. love you. человек с доброй душой, светящийся светлой аурой, великий талант и вдохновитель. ВЕЧНАЯ ПАМЯТЬ ТЕБЕ. СПАСИБО ЗА ВСЕ!!! Your songs always lifted my mood to happiness and calmness,and your melodies were always something special that not everyone can imagine of doing without being inspired by you,thanks for being with me in these 9 years even if i never got to meet you. Desde España, gracias por tu música, que estará con nosotros siempre y tu recuerdo será eterno con ella. -JGBlay. He was and still inspires me and others to this day. We will never forget him and how he changes me, others, and the world. The pain I feel for Tim I have to carry inside of me for the whole life but the anger I have to vent. I have to throw it on all those greedy, deaf and blind people who have used him for so many years. Tim with his pure and honest soul did not deserve to leave this World. Someone else would have to replace him. I wonder: where is justice? The good ones leave leaving so many good memories but the bad ones remain leaving only a strip of blood. My heart will never mend. Ho iniziato a fare musica per lui...è stato grande e sempre sarà!! your songs made my childhood. thank you, Avicii. I miss you and your music. You'll always be in our hearts. Thanks for everything. I met Avicii at a restaurant. He was eating, performing a normal human task, but he was no where near normal. He was extraordinary, I was so happy that I got to see him I went up to him and talked. We began to hangout and I can genuinely say that he was and still is one of the most amazing men that I have ever met. I love you Tim. I love you long time. TO TIM: Hey brother, I miss you and I think about you everyday. I wish you were here man I still feel incomplete without you here with me. "Wake Me Up" is the first EDM song that I've ever heard. When you announced that you would take a rest for a while, I was totally heartbreaked. However, when you realeased the brand-new album "Avīci (01)", the fans all over the world was listening the songs happily, because Avicii was finally BACK! Though you've already been passed away for half a year, your songs will be always stayed in every fans' heart!!! i cannot express how much i have to thank this great artist. just by looking at his name and listening to a second of his songs would make me burst out in tears. he had meant so much to me ever since i discovered his music was my only friend back in middle school. i was mute and was an easy target for everyone in the school, but with his songs, i gained confidence back and spoke for the first time when i graduated. i love you so much avicii. thank you and hope you walk a better path now. Lo conocí gracias a mi primo Luis, estaba aburrido con mi primo, no había nada que hacer, me mostro una canción llamada The nights, era una gran canción, desde ese momento empecé a escuchar esa maravillosa música a todo momento, cuando hago tareas, deberes, etc. Estoy eternamente agradecido con Tim ya que su música me sacaba de los momentos tristes y me alegraba a cada rato, lo sigo escuchando por lo menos 2 años, me encanto el documental True Stories fue alucinante. Gracias Tim. QEPD. His passing reminds me of the passing of Kurt Cobain. I was in my 20's when that happened. Avicii had a similar impact on music. I thought he would be on top of the world, so many people wanted to be in his place. I guess the party lifestyle 24/7 got to him. I saw his True Stories movie before he died, and thought he was making progress to get into a better place. I guess in the end it was just too much. Tim gave me houp to continue and as he shared with us his music I felt he was giving us a part of him and that we could know more about him. Half a year without him and still houping to watch him in concert on day. Thanks for opening up a whole new world for thousands of songwriters across the world. Vila i Frid Tim. Merci Tim pour ta musique. You're an inspiration no one will forget. May your work keep being this inspirational for generations, you were that artist who made his dreams come true and showed the world that it is both dangerous and insane. Thanks for everything, may you rest in peace forever. I can't express my feelings in words. This is not easy. The closest word to my feelings is love. Anyone who has heard you, definitely loves you. For years Avicii helped me push on and see the positives in life, for that you are forever in my heart. Many people will always be touched by the passion you had, and many people in the future will discover your angelic notes. Tim rest in peace in the presence of God, but it is very sad that he no longer has his presence here on earth. May God comfort all who miss you! Huge hug from Brazil! Bárbara do Brasil! I wish I understood why he wanted to die. Avicii has brought amazing music. His personality was amazing and he was and amazing EDM music producer. Love goes to you, my friend. Wake Me Up will always be the go to song in the car, me and my dad always sing along. The Nights will always be one of the most meaningful songs ever. 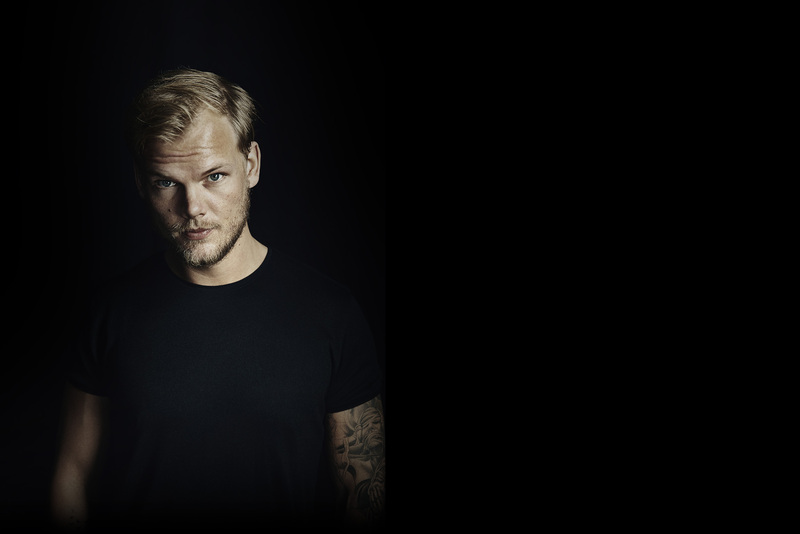 Avicii/Tim, you’ll never be forgotten. Got your logo tattooed on my lower arm. Thanks for everything.